Preferring grace over style, message over technique, and story over extravagance, Jose seeks to create work with integrity and authenticity at its core. OUR WHITE HOUSE. Illustration © 2008 by Joe Cepeda. Reproduced by permission of the publisher, Candlewick Press, Somerville, MA. 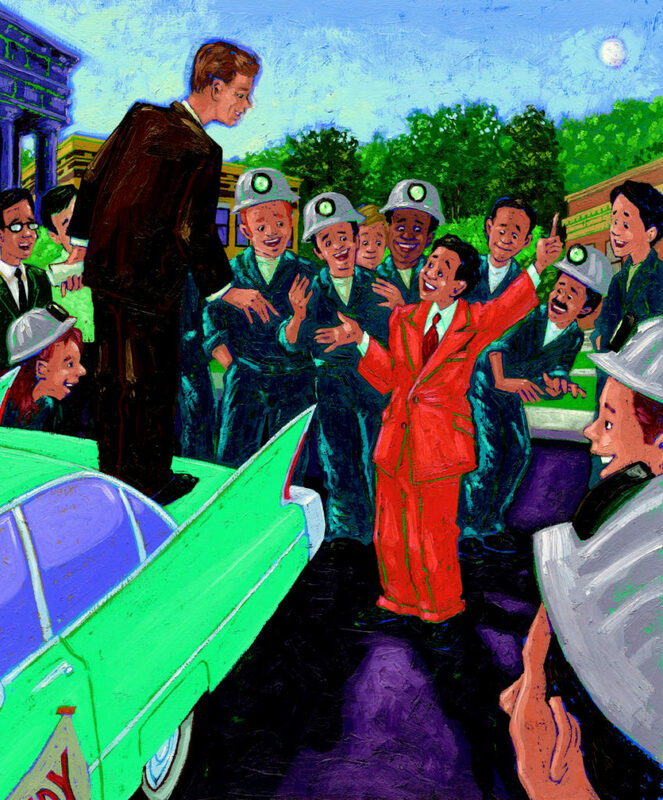 Born and raised in East Los Angeles, Joe’s serpentine road through college began studying engineering at Cornell and finished with a BFA in Illustration from Long Beach State. Only months from leaving school, Joe took his wares to New York and secured a book contract with a publisher after his first meeting—he’s been illustrating books ever since. Joe is the award-winning illustrator of more than twenty books for children while continuing to create images for magazines and other publications, as well as keeping an eager eye to the ever-evolving landscape of illustration. A sought-after public speaker to schools and at conferences, Joe relishes every new opportunity to share his experience and advocate for his craft. 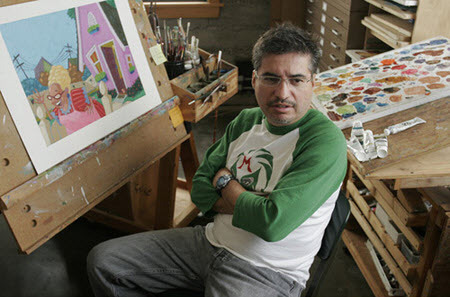 Joe is the president of the Society of Illustrators of Los Angeles, SILA. Joe works and lives in southern California with his wife and son.